Shots from around the UK over the second half of September, starting with a visit to Kemble, to catch up with the latest on the 'aircraft salvage' scene here. This was followed by Lyneham, to photograph the Comet gate guard, something that was needed to be done, with the expectation that it wouldn't be here forever. 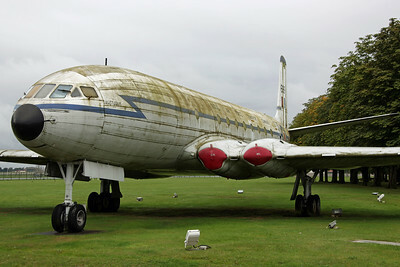 The long spoken of hope to get it to RAFM Cosford was yet to happen, it seems due to the poor condition of the aircraft. Sadly, two months later the final remaining Comet C2, XK699 'Sagittarious', was scrapped, with corrosion in the airframe being too severe for the aircraft to be moved. 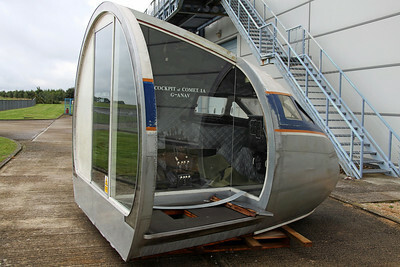 Thankfully, at least the forward fuselage section was saved, going to the BDAC Museum at Old Sarum for display. The relief of finally getting shots of the aircraft, just in time, is tempered by the loss of yet another British classic. From here it was on to the Science Museum storage collection at Wroughton. Again, something that had been intended for a while, visits here are quite difficult to arrange, normally not being open to the public. However, 'research' visits can be arranged for Wednesdays, though usually needing a few months notice 'to see a certain item/aircraft here'. Once here though, thankfully a request to photograph all the aircraft present, in the two hangars, was granted. All classics of course, with the TWA Constellation the highlight, being the only one of the type present in the UK. 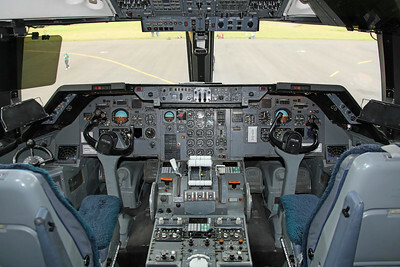 Others, including the BA Trident 3B, Dan Air Comet 4B, DC-3 and Boeing 247 are also worthy of mention. 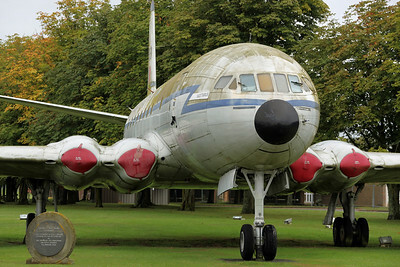 Also, the other Comet present, the nose section of 1A G-ANAV, has now been moved outside, and apparently is now surplus, with plans for it to be donated or sold. A fascinating place, however, being a storage facility, none of the aircraft here are actually 'on display', with most being very difficult to photograph, crammed together among all kinds of items in storage. A shame really, as 'being in storage for the nation', the 'nation' never gets to see them, with the Open Days here, when the aircraft were put on display, being a thing of the past. Moving on to Brize Norton for three days, this would be the first of several visits for the RAF VC-10 retirement events, with the final operational flights on Friday 20th, followed two days later by the Aviation Enthusiasts Day. Unfortunately, no VC-10 flights were operated on the 18th & 19th, as expected, though being my last planned visit here this year to get some flying shots of the RAF Tristars, it was good to shoot some of these classics again before their retirement next year. A bonus visitor present this week was the Ukraine AF An-30 'Open Skies', operating from here, with other visitors over the three days being the World Airways MD-11, Kuwait AF L100-30, Blue Panorama B767 and Hungarian Do28 operating para jump flights to nearby Weston on the Green. 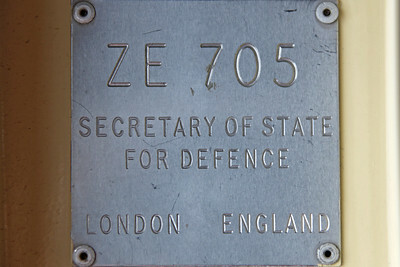 Friday 20th was a big day in the history of RAF Brize Norton, being the OSD (Out of Service Date) for the classic, iconic British built VC-10. For this, details had been released of a 'UK Tour', involving flypasts at several airports and bases around the country, to be carried out seperately by the final two aircraft, following AAR taskings over the North Sea. 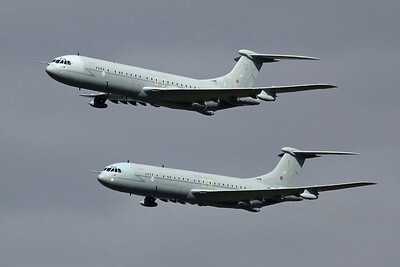 And so, the familiar 101 Squadron callsign would be used for the last time, as Tartan 51 & 52 taxied out together and departed Brize as planned on the 20th just after 1000, in front of a few hundred 'real' VC-10 fans. Exactly four hours later they returned, in great weather, with a tight formation approach, to run and break, back into the circuit to land. An amazing sight and photographic opportunity, to end 47 years of service with the RAF. Heading home after the landings, a quick call was made at Wellsbourne Mountford, where another iconic British classic lives, Vulcan XM655. 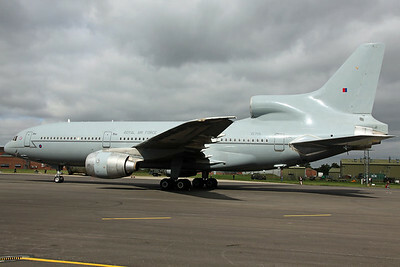 Two days later, it was back down to Brize for the next event during this climactic week for the VC-10, the Brize Norton Aviation Enthusiasts Day on Sunday 22nd. Organized by 216 Squadron, the event was limited to around 200 people, as a final chance to see three types together, about to go out of service at Brize... the VC-10, Tristar and C-130K. ZA147/F was the VC-10 open to the public, with the crew present including the now familiar pilot, Flt Lt Jess Gannon (who i had spoken with at Newquay after bringing in ZA148/G). Jess then kindly agreed to walk myself and a friend over to ZA150/J, to photograph the aircraft on the ramp at Brize, away from the public area. Great guy! On the way home, Oxford, Weston on the Green, Hinton in the Hedges and East Midlands were visited. And so, three days later... Bruntingthorpe. Following the delivery of ZA150/J to Dunsfold on Tuesday 24th (with the last VC-10 built being acquired by the Brooklands Museum), the final flight of a Vickers VC-10 was to be ZA147/F from Brize Norton to Bruntingthorpe on Wednesday 25th September. After the departure was delayed several times by heavy fog at Brize, 'Ascot 848' finally arrived at Bruntingthorpe (via a Touch & Go at Birmingham) for the first of two low overshoots at 1552, before the historic final touchdown at 1602. Another epic moment in aviation history that was an honour to witness, as the 'Queen of the Skies' thrilled the large crowd for one last time, bringing the end of an era, as yet another true classic aircraft was retired. From here, it was straight to Manchester airport, to catch an Easyjet flight the following morning to Malta, for the airshow. This had been put back a day (with the original plan of flying out of Stansted with Ryanair), to catch the final VC-10 flight... there was no way that was going to be missed! Three days later, on return to the UK, a quick look around Stansted was followed by another, final visit to Bruntingthorpe this year, to photograph all the VC-10's present, along with the museum aircraft. Bonus was the Victor doing ground test runs, before home via East Midlands, to finish of a memorable few weeks in the UK. XK699 Comet C2 RAF 216Sq. Gate Guard at Lyneham since 1987, was then scrapped in mid-November, with the forward fuselage taken to the BDAC Museum at Old Sarum for display.